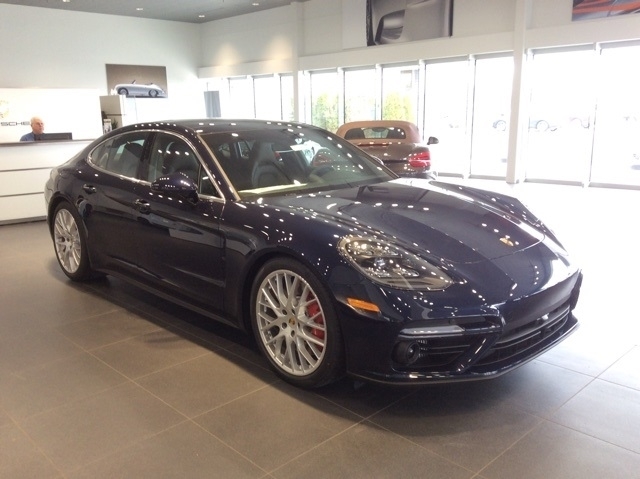 Night Blue Metallic 2018 Porsche Panamera Turbo AWD 8-Speed Automatic V8 Panamera Turbo, Sport Exhaust System incl. Tailpipes in Silver, Wheel Center Caps with Colored Porsche Crest, Steering Wheel Heating, 21`` SportDesign Wheels, Seat Ventilation (Front), Interior Package in High Gloss Black, Lane Change Assist (LCA), ParkAssist (Front and Rear) incl. Surround View, LED-Matrix Headlights incl. Porsche Dynamic Light System Plus (PDLS+), Adaptive Cruise Control (ACC) incl. 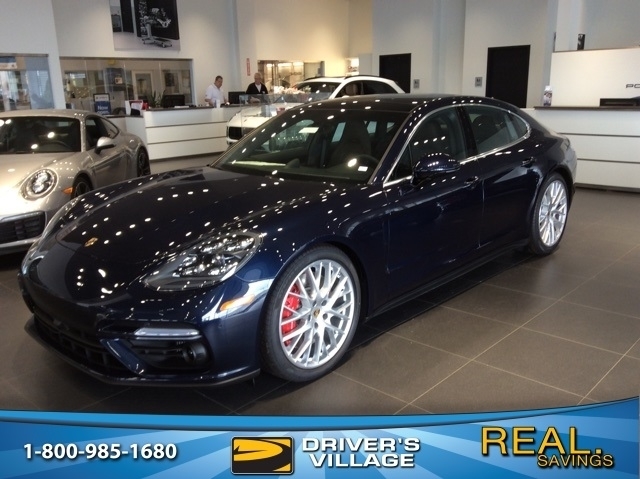 Porsche Active Safe (PAS), 4-zone Climate Control, Night Vision Assist, Leather Interior in Black/Saddle Brown, Soft Close Doors, Night Blue Metallic, All-Season Tires for 21`` Wheels, Storage Package, Sport Chrono Package, AWD. Hello, I would like more information about the 2018 Porsche Panamera, stock# FP1800644. Hello, I would like to see more pictures of the 2018 Porsche Panamera, stock# FP1800644.